The official name of Pingyao Ancient City Railway Station is Pingyao Gucheng Railway Station. 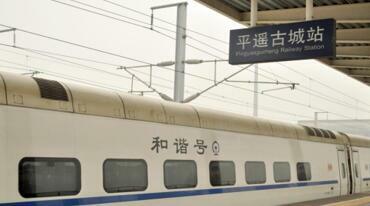 Passengers need to use official name to search for trains in China. The station was newly built in 2014, when it first came into use. It is at the center of Shānxi Province (山西省), and has became a transport hub for Shānxi Province, Shǎnxi Province (陕西省) and Beijing. The station is 8 kilometers from Pingyao Ancient City and 9 kilometers from Pingyao Railway Station. It’s very convenient for visitors who wish to travel around Pingyao. From Xi’an North Railway Station: There are 8 high-speed trains a day running from Xi’an North to Pingyao Gucheng, departing between 06:32 and 19:05 hrs. The journey takes about 3 hours and costs 150 yuan per second class seat. From Beijing West Railway Station: 3 high-speed trains a day run from Beijing West to Pingyao Gucheng. The journey takes about 4 hours and costs 183 yuan per second class seat. From Taiyuan South Railway Station: 23 high-speed trains operate on this route daily. The journey takes about 40 minutes and costs 28.5 yuan per second class seat. 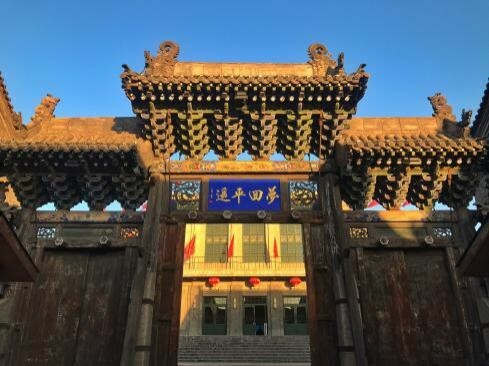 From Datong Railway Station (Datong Yungang grottoes): There are no direct trains from Datong to Pingyao Gucheng, but you can transfer at Pingyao Railway Station. First, take a normal speed train from Datong Railway Station to Pingyao Railway Station. That takes about 7 hours and costs 69 yuan per hard seat. Then take bus no. 108 from Pingyao to Pingyao Gucheng. You can check all the schedules on China Train Booking app (IOS, GooglePlay, Android APK). To find out how to book train tickets in China, please see How to Buy a China Train Ticket . Pingyao Gucheng is quite a small station with only one floor, two platforms, and an independent ticket building (on the right-hand side of the main hall). It has, however, good facilities and convenient services, such as Wifi and mobile phone charging services. There is a station square in front of the main building, where travelers can take buses or taxis. * Please note there is no restaurant at the station. Find the independent ticket building at the railway station. Choose one of the ticket windows (marked “取票窗口”) to queue up and collect your paper ticket(s). After collecting your paper ticket(s), go to the main station building to pass through the security check. Find the waiting area on F1 nearest to your boarding gate. * There are only 2 platforms at Pingyao Gucheng Railway Station. One goes in the direction of Xi’an (marked 西安方向), while the other goes to Beijing or Taiyuan (marked 北京, 太原方向). Find the platform for boarding according to the arrival station shown on your ticket(s). There is only one available bus line – no. 108 – at Pingyao Gucheng Railway Station. It goes to some major tourist attractions in Pingyao, including: Pingyao Ancient City (平遥古城) and Shuanglin Temple. There’s a taxi stand in front of the station square. For journeys by day, the starting price is 6 yuan for the first 3 kilometers and 1 yuan for every additional kilometer. 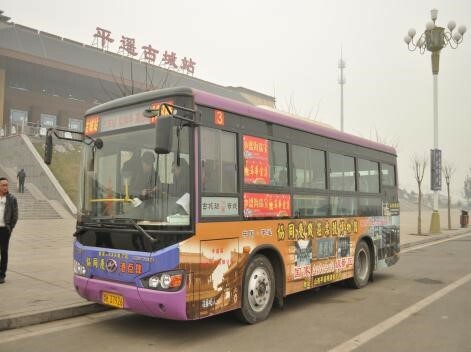 For night journeys, the starting price is 9 yuan for the first 3 kilometers and 1.5 yuan for every additional kilometer. 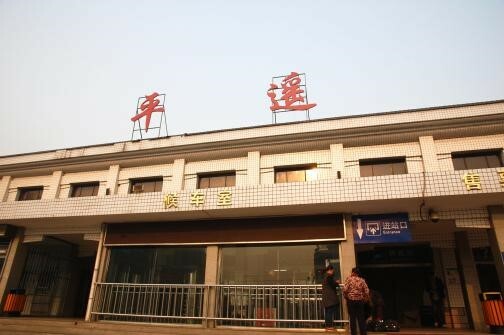 Pingyao Railway station only operates normal trains to and from some cities such as Beijing, Taiyuan, Xi’an, Chengdu, Tianjin, and Datong. It is very close to Pingyao Ancient City; you can get there by taxi in 5 minutes. We recommend two ways of getting to Pingyao Railway Station from Pingyao Gucheng Railway Station. 1. Take bus no. 108 at Pingyao Gucheng Railway Station (平遥古城站). 2. Get off at the railway station stop (火车站) . The journey takes about 39 minutes and costs 1 yuan. 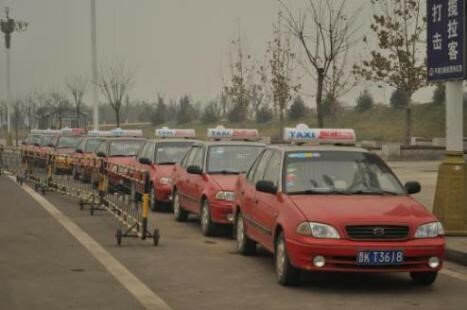 By taxi: The journey takes about 15 minutes and costs about 20 yuan. Pingyao Ancient City (平遥古城) is listed by UNESCO as a World Heritage site. It was built in the Ming (1368-1644) and Qing (1644-1912) dynasties. There are many ancient houses, city walls, and streets in Pingyao, and it’s regarded as the most intact ancient city in China. We suggest two ways for passengers to get to Pingyao Ancient City. 1. Take bus no. 108 at Pingyao Gucheng Railway Station. 2. Get off at Pingyao Ancient City Bus Station. The journey takes about 38 minutes and costs 1 yuan. By taxi: This takes 20 minutes and costs about 18 yuan. 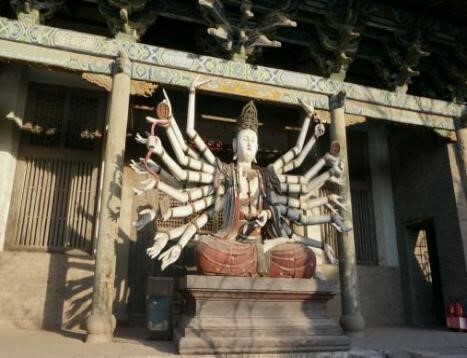 Shuanglin Temple is in Qiaotou Village (桥头村) about 4 kilometers from Pingyao Gucheng Railway Station. The temple is famous for its ancient painted sculptures, with over 2,000 inside. These sculptures reflect the superb skills of the artists in the Song (960-1279), Yuan (1271-1368), Ming and Qing dynasties. 2. Get off at Shuanglin Temple Bus Station (双林寺站). The journey takes about 22 minutes and costs about 1 yuan. By taxi: This takes 8 minutes and costs about 10 yuan. We have helped a number of foreign customers get their tickets to Pingyao and facilitated their trips in China. Our door-to-door ticket-delivery service and 1-to-1 after-sales service (GMT+8, 08:00–23:00, 24/7) will make your train journey in China easier and smoother.